PCOS frustration (polycystic ovarian syndrome) is common amongst many women worldwide. Unfortunately, us ladies are all susceptible to developing the condition and it’s not the nicest to have to confront. However, there are luckily some exercises and dietary changes you can make to help reduce its symptoms. According to extensive research, experts have discovered that strengthening exercises work best for helping PCOS frustration. Cardio, bye bye! Often, when ladies are diagnosed with this condition, their self-esteem takes a big knock. This is because the condition can make you feel pretty lousy about yourself. PCOS symptoms can include things like weight gain, bad skin breakouts, lethargy, and even depression. Thankfully, the one thing you can control is your lifestyle and starting to move your body more frequently. Evidence supports strength training and what it can do to change the way that you might feel about yourself. All you need to do is put on your big girl pants and show face at the gym consistently! The thing you must remember is to keep the goal in mind. 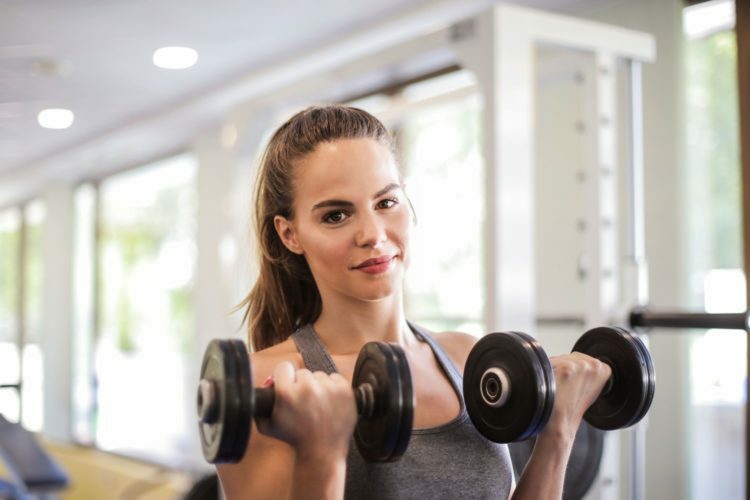 A huge thank you to The PCOS Personal Trainer for sharing with us the three most life-changing things that can happen by doing strength training, Just like the article says, the root cause for exercise is not to lose weight. I think many of us start forcing ourselves to hit the gym, even when we don’t want to in the hopes of burning tons of calories and looking thinner. This is an unsustainable approach and after a while, you will lose interest. You must set a clear intention besides your physical appearance before starting any exercise program. It’s not your fault if this is what you have been doing all along, because let’s face it, the media certainly doesn’t help us. We’re constantly prompted about the importance of burning as many calories as you can during the day, or in every workout or burning more calories than you consume. My goodness, that’s quite a lot of pressure to put on yourself and will only end up stressing you out! Whilst it’s not exactly difficult to overeat in a day, it IS very difficult living a life that’s so heavily concentrated on burning as many calories as you can. Do you know how time-consuming that becomes? 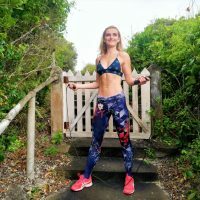 Moreover, it’s actually a lot trickier to burn 500 calories or more in one workout than you think it is – despite all the YouTube 1000 calorie burners you might follow! And, you could potentially be burning yourself out and aggravating your PCOS frustration and symptoms. Where does that leave you? Well, it means stop focusing so much on burning thousands of impossible to burn calories in every workout you take on. And rather focus on dialing in your nutrition. That is key and will get you the results you’re looking for. 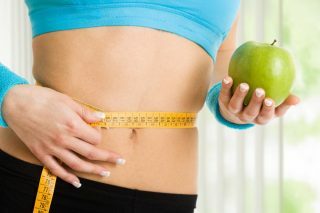 Why Is Weight Loss And PCOS Connected? According to The PCOS Personal Trainer, exercises improves how your body functions so you’ll respond better and more quickly to the changes you’re making in your diet. That’s why exercise is vital to anybody who suffers from PCOS because its symptoms make you more resistant to losing weight. This is a side effect that helps incredible amounts of PCOS frustration. Any exercise helps, but science says strength training causes more positive effects on your body. In fact, it’s better than any other kind of workout out there, even if you’re lean and not overweight, but struggle with PCOS. Initially, it might be tough to wrap your head around strength training. The build-up to some of the exercises will also take some time to master so just be patient with yourself and look for beginners programs to follow. One of the main consequences of having PCOS is insulin resistance. This is a constant struggle for many women and results in feeling continuously hungry, random cravings, fatigue, crazy hormones, and weight gain. Current researchers have discovered that strength training uses three separate mechanisms to improve insulin resistance. Your muscles are the primary consumers of glucose in your body. That’s why it makes sense to start building more muscle because as it grows in your body you will also be keeping your blood sugar at a healthy level. Better yet, the more exercise you participate in the more sensitive your cells become to insulin. What does this mean? Basically, you will amp up the power of your pancreas. It’ll have to produce less insulin to keep your metabolism running smoothly. Studies also state that fitness changes the expression of genes that are thought to cause PCOS-related insulin resistance. In many PCOS women, a common issue is high male hormones which can lead to facial hair, belly fat, hair loss, and even acne. Not pleasant to say the least! PCOS frustration through the roof. Ironically, we all perceive strength training as male-dominated and that it will make us look bulky or too muscled – in other words, we’re worried it will make us look like a man. That’s not the case and your testosterone levels will not increase. 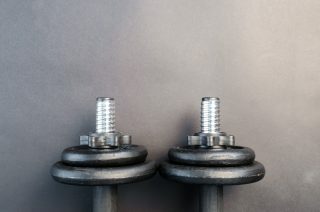 If you’re still skeptical then take a look at this study to see how strength training can significantly lower your male hormones. Still trying to get rid of that stubborn belly fat? Yeah, it gets pretty frustrating especially when you’re doing hours on the treadmill every day. If you want to see change, then stop doing that. Start strength training because it speeds up your metabolism quicker than any other form of movement. Also, the issue with crash dieting is that you restrict yourself too much and whilst you might lose some weight, you’ll also drop in muscle mass. That means you will slowly require less and fewer calories to sustain your body’s muscle building systems, which means you will have to keep lowering your calories to lose weight. This is unsustainable and unpleasant after a while because you’re going to crash at some point. This means that you need to use strength training and a PCOS-friendly diet to prevent muscle loss and keep your metabolic rate high. Whether or not you’re on a diet, strength training will stimulate muscle growth and prevent muscle loss. Plus, having more muscles burns more calories at rest – so not only when you’re exercising! Therefore, losing weight will become a natural process and won’t seem like such a demotivating and frustrating process.